Vibrant Fittings - Hose End Socket UNIVERSAL - Dezod Motorsports Inc - Home of the automotive performance enthusiast since 2002. 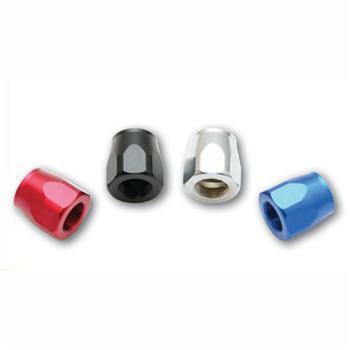 Replacement Hose End Sockets are a direct replacement for many Vibrant Fittings. Available in sizes -4AN to -20AN and in black, blue, red and chrome.